Zane must be short for Zany, because this silly youngster is a riot! 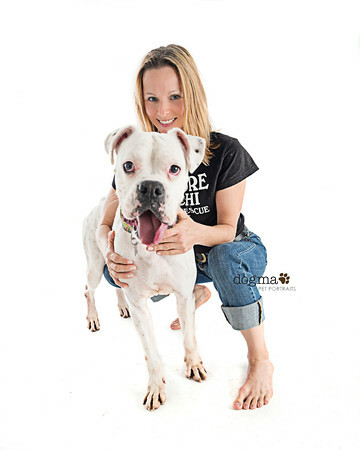 Zane is a deaf white Boxer with the energy and enthusiasm of a kid at Christmas time. He is one of our Arizona imports whose days were numbered. Not the case anymore, as we at Sachi are dedicated to find the perfect home for this snowy white goofball! He needs work with other dogs right now. his first instinct is to go full force into play mode even when the other pup is not interested. We're working on that and trying to instill some manners that will make life with the "Zany"
one more enjoyable. He loves people and we all have saliva covered faces to prove it!